As you may already know Ultimate Winery member, Fowles Wine, is passionate about crafting wine to match with food. In fact, they are the world's first winery to craft wine to match with wild game meat with their Ladies who Shoot their Lunch and Are you Game? wines. 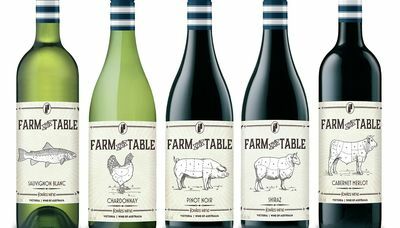 Over the past year they have also turned our attention to blending a new range of wines called Farm to Table that match with farm raised meats. And we are excited to say that these wines are now ready for you to enjoy! With Farm to Table Fowles have modified the way they make the wine to match the more ‘open’ fibre, ‘softer’ texture and higher fat content of farm reared meat. As farmers and winemakers with significant experience growing their own grass fed sheep meat or sourcing game from the wild, they have identified the different qualities of these meats and understand how to blend wine to match its profile. 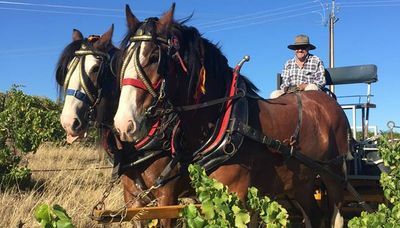 With this in mind, their Farm to Table wines are underpinned by fresh acidity but have slightly fleshier fruit and a little more oak when compared with their 'wild food' wines. This bright acidity keeps the palate balanced and fresh (critical when food and wine matching), while the more generous fruit definition and firmer tannin structure from the oak complements the characters of farmed meats. Like all of their food wines, Farm to Table is driven by their hunger to get closer to the source of food and wine, and build an understanding of how to hunt, grow and blend it to create harmonious taste experiences. To achieve the desired style, the Farm to Table wines are made with fruit sourced from their family vineyards as well as those of their grape growing friends across Victoria. 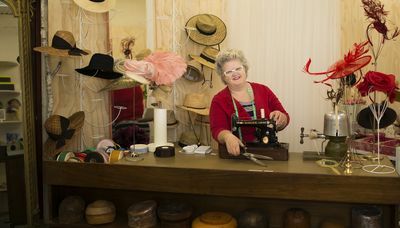 They embody their connection to the land and their enjoyment of it through quality food and wine. This connection with the land, estate to plate philosopy and passion for wine and food matching is encapsulted in the Ultimate Winery Experience offerings at Fowles Wine cellar door. Experiences that are a must for every food and wine lover!